Just as I was getting ready to jet off on vacation, I received a most delightful award from Helene at I'm Living Proof that God has a Sense of Humor. She and I discovered each other's sites when we joined a twin blog ring at about the same time. She's an übermom who is raising not one, but two sets of twins. I always look forward to her insightful posts, written with candor and humor about the frustrations and joys of life with children. Saddlepotatoes is leading the life that I'm supposed to be living on the Kenai Peninsula, homeschooling her children and riding her horses. Homestate is one of those rare, wonderful people who opens her home to foster children, so she's a little busy these days, but I do hope to see her posting again soon about life in Anchorage. Musings of a Mommy Bee is written by a self-described "granola mom" living a life of simplicity and gratefulness in Pelican, a tiny spot of paradise in southeast Alaska. Dug's Big Wild Life does the impossible: makes garbage fascinating. This guy travels around Bush Alaska inspecting landfills, and he's got a snappy sense of humor that I quite appreciate. You'll also enjoy his recounts of camping trips and sightseeing tours with his family. Scribbit is the grand dame of Alaskan mommy blogs. 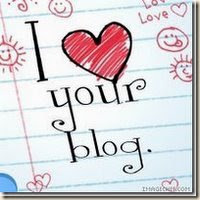 She posts daily and provides a wealth of information about all sorts of subjects, including the topic of blogging. Her expertise garnered her an invite to speak at the BlogHer conference this past summer. PhoWises is written by a woman from my hometown who documented the long and complicated process of adopting a baby from Vietnam. Her family is finally all together in Homer now, but if you go back into her archives you'll find a mesmerizing tale of travel and love. Wow, you listed some really fun-sounding blogs! I'm gonna have to check them out! Did I ever tell you that I did that nature treasure hunt with my kids that you did with your kids (I believe you found the idea on Scribbit's site..the one with the colored egg carton)? My kids had such fun!! You're gonna roll your eyes at me but I just tagged you with a meme on my blog. But I just know you'll have some funny stuff to write about so of course I had to mention you! Well, thank you! I surely don't deserve it. I will accept the lunatic label, though! Just for you, I posted to explain my blog's disappearing act. Sigh. The midnight sun must be getting to me. Alicia, your explanation about what happened to your blog "just might have been" HILARIOUS! wow, thanks for mentioning us crazies over at saddlepotatoes! now i am off to check out those other blogs! thanks kim! The ballyhooed Mommy Wars exist mainly in the minds -- and the marketing machines -- of the media and publishing industry, which have been churning out mom vs. mom news flashes since, believe it or not, the 1950s. Always one to look for the silver lining . . . thanks, spammer, for using the word "ballyhooed." I don't hear that word very much. I think I shall work it into my conversations today.